Working Area: 5500 square feet P/H. Travel speed (ft./min)	: 50 ft.
- Length and Diameter: 17" L - 1.7"
We are a unique entity in the industry, actively committed towards manufacturing a qualitative range of Tamping Rammer. 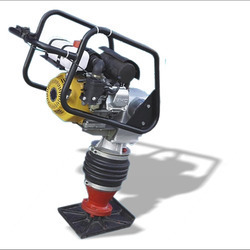 Our range of Earth Rammer are extensively used for paving block laying and industrial concrete flooring. 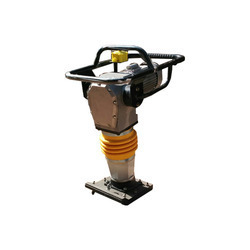 Backed with a team of professionals, we are engaged in offering high grade Earth Rammer in the industry. The Earth Rammers that we offer are highly appreciated for consuming minimum amount of energy. In addition, these Earth Rammers are known for requiring minimum maintenance. The Dingo Under Road Boring System is a low cost way of installing small diameter pipe and cable with minimal surface damage. This system has a distinctive advantage over many Under Road Boring Systems, in that the boring is done completely horizontally. We Are Making High Quality Post Rammer.